Repairs and restoration for your RV. You need to know that your RV will be running strong when you need it, so you need to work with a dependable team of experts who can accurately and effectively assess your needs and make any repairs. We always work honestly and will dedicate ourselves to making sure you get the best possible price for your work. Our technicians will take care of you, so you can relax when you know that all your needed RV work is being handled by professionals who are dedicated to service. We'll go the extra mile so you can go the distance. Warranty Work: RV Restore and Repair is a full service shop for manufactures warranty repairs. We have most recently added some of the largest RV manufactures in the industry to our list of accepted warranty manufacturers. These are Forest River; THOR Motor Coach; Winnebago Towable; and Monaco/Navistar The closing of McMahon’s Morgan Hill has left many RV buyers with tons of questions and warranty issues with their newly purchased coaches. RV Restore and Repair can assist you with any and all issues as they arise from general maintenance to warranty repairs. RV Air Conditioning Repair and replacement Morgan Hill, San Jose, Gilroy, Salinas, San Martin. Certified repair, troubleshooting Service Center for Coleman, Dometic and Atwood Air Conditioners and Heat Pumps Repairs, Service and Part Installations. Installs Provided for customer Provided Parts. Certified Service Center for Atwood, Wedgewood, Suburban, Dometic, Norcold and Splendide , Whirlpool Colman RVP Products All Repairs, Service, warranty and Parts Installations. Installs provided for Customer Provided Parts. Certified Service Center for repair and replacement Morgan Hill, San Jose, Gilroy, Salinas, San Martin. A&E - Dometic and Carefree of Colorado. Patio - Window Awnings and Slide Room Cover Repairs and Replacement Installs or upgrades. Installs Provided for Customer Provided Parts. RV Business Fleet Repairs Morgan Hill, San Jose, Gilroy, Salinas, San Martin Repairs for All RV Business Fleet Repairs for RV Rentals, RV Warranty, RV Insurance , RV glass repair Windshield and double pane side windows Fleet Maintenance, Repairs, Services, Parts and Upgrades. RV Collision Repair Morgan Hill, San Jose, Gilroy, Salinas, San Martin. RV Collision Repair for All Insurance Carriers and Self Pay Customers. All Exterior and Interior Damages for Filon - Fiberglass - Aluminum Sidewalls, Frontend, Rearend, Roof,Dry Rot, Paint finish, Bumpers, Fenders, Wheel Wells, Windows, Doors, Windshields Compartments, Awnings, Tanks, Plumbing, Electrical, Jacks, Slide Room and All Damages. 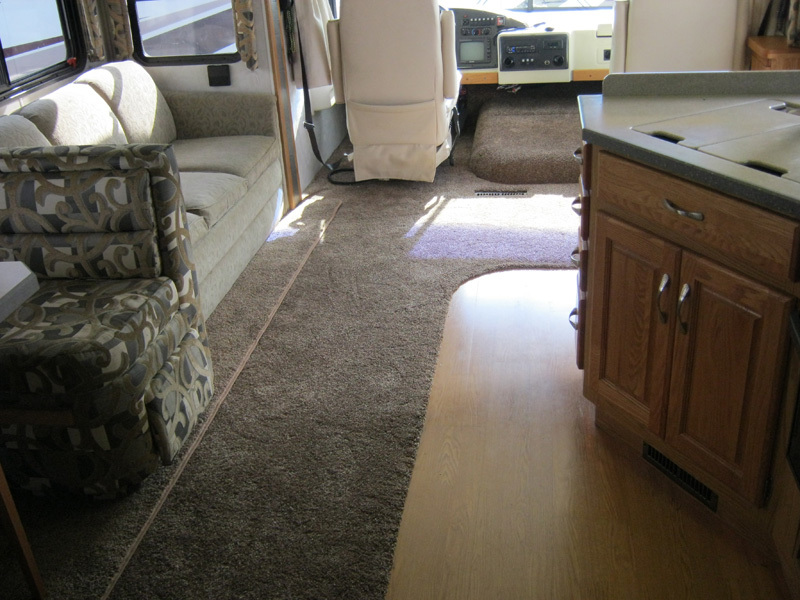 RV Conversions Morgan Hill, San Jose, Gilroy, Salinas, San Martin. RV Conversions for Mobile Businesses, Specialty, Custom Living Quarters, Custom Floor Plans, Flooring, Cabinets, Furniture, Equipment and All RV Conversions. RV Conversion Repairs, Service, Parts, Installation, Upgrades and Customs. Installs Provided for Customer Provided Parts. RV Electrical Repair Morgan Hill, San Jose, Gilroy, Salinas, San Martin. RV Electrical Repairs, for 12 volt 24 volt, Ac 50 amp .parts and Installations. All Electrical Rewires, Upgrades, Diagnostic and Repairs. Electrical Panels, Breakers, Shore Power, Cords, Interior Electrical, Exterior Electrical, Dash Electrical, Engine Electrical, Hitch and Towing Electrical. Installs Provided for Customer Provided Parts. RV Exterior Repair restore Morgan Hill, San Jose, Gilroy, Salinas, San Martin. RV Exterior Repairs, Installations, Restorations, Upgrades and Parts. RV Rubber Roof and All Roof Type Repairs, Restorations, Cleaning and Sealing. Trims, Vents, Compartments, Locks, Bumpers, Fenders, Wheel Wells, Windows, Entry Doors, Access Doors and All. Installs Provided for Customer Provided Parts. Decor , liquid rubber. RV Furnace and Rooftop Heat Pump Repairs Morgan Hill, San Jose, Gilroy, Salinas, San Martin. Installations, Upgrades and Parts. Service Center for Coleman - Airxcel Rooftop and Basement Heat Pumps. Service Center for Atwood Furnace. Service Center for Suburban Furnace. Service Center for Dometic Duo Therm Rooftop Heat Pumps and Basement Heat Pumps. Installs Provided for Customer Provided Parts and trouble shooting. RV Generator Repairs, Installations Morgan Hill, San Jose, Gilroy, Salinas, San Martin. Upgrades and Parts. Specialize in Onan Generator Repairs, Service, Installations, Upgrades and Parts. Onan Carburetors, Starters, Tune Ups, Service, Maintenance, Upgrades. Onan Diesel Generator Repairs, Service and Parts. Onan Gas Generator Repairs, Service and Parts. Onan Propane Generator Repairs, Service and Parts. RV Receiver Hitch Repairs, Installations and Parts Morgan Hill, San Jose, Gilroy, Salinas, San Martin. Fifth Wheel Hitch Repairs, Installations and Parts. RV Towing Product Repairs, Installation and Parts. Tow Bars, Hitches, Weight Distribution Hitch, Gooseneck Hitch, Sway Control, Receivers, Braking Systems, Brake Controllers, Safety Cables and All Towing Products. RV Hydraulic Repairs, Service, Installation, Upgrades and Parts Morgan Hill, San Jose, Gilroy, Salinas, San Martin. RV Hydraulic Slide Room Repairs. RV Hydraulic Jack Repairs. RV Hydraulic Leveler Repairs. RV Hydraulic Repairs for Jacks, Levelers, Pumps, Motors, Hoses, Reservoir for HWH, Lippert Components, Power Gear, Equalizer. Installs Provided for Customer Provided Parts. RV Interior Repairs Morgan Hill, San Jose, Gilroy, Salinas, San Martin Upgrades, Restorations, Floor Plan Changes, All Flooring, Carpet, Cabinets, Privacy Doors, Ceiling, Furniture Upgrades or Upholstery Restorations, Dash Restoration, Custom TV Cabinets, Hide Away TV Cabinets, Entertainment Systems, Electronic Upgrades, DVR, Hooper, Joey System, Blinds, Wall Coverings, Windshield Coverings and All Interior Repairs. RV Jack Repairs and Installations Morgan Hill, San Jose, Gilroy, Salinas, San Martin. Upgrades and Parts for RV Hydraulic Jacks, Electric Jacks and Manual Jacks. RV Jack Service Center for HWH, Power Gear, Lippert, Atwood, BAL, Bulldog, Husky, Rieco Titan, Happijac, Equalizer, Bigfoot, Power Plus, Curt Manufacturing, Venture Manufacturing, Ultra-Fab and All RV Jacks. RV LP Repair - RV LP - Propane System Repairs, Installations, Upgrades and Parts Morgan Hill, San Jose, Gilroy, Salinas, San Martin. RV LP Tanks, Horizontal LP Tanks, One Stage Regulator, Two Stage Regulator, LP Hoses, LP Tank Covers, LP Tank Mounting Bracket, LP Tank Rack, LP Dual Tank Base, LP Dual Hold Down Bar, LP Fittings, LP Detectors, LP Tees, LP Adapters. RV Maintenance Repair Morgan Hill, San Jose, Gilroy, Salinas, San Martin for Engine, Chassis, Appliance, Refrigerator, Water Heater, Generator, Roof, Bearing Packs, Brakes. RV Maintenance Supplies and Parts. RV Plumbing Repair and installations, upgrades and parts Morgan Hill, San Jose, Gilroy, Salinas, San Martin . All RV Plumbing, Toilets, Water Heaters, Tanks, Sinks, Plumbing Repairs. RV Plumbing Parts, Fittings, Valves, Elbows and More. RV Recall Repairs Morgan Hill, San Jose, Gilroy, Salinas, San Martin. RV Recalls for All RV Manufacturers and Parts Manufacturers. Recall Service Center for Norcold and Dometic Refrigerator Recall Kits. Warranty Recall Service Center. RV Refrigerator Repair Morgan Hill, San Jose, Gilroy, Salinas, San Martin. RV Refrigerator Repair, Service, Installation, Upgrades, Custom Installs and Parts. RV Refrigerators Repairs for Norcold, Dometic and Atwood. Service Center for Norcold, Dometic and Atwood Refrigerators. RV Restorations Morgan Hill, San Jose, Gilroy, Salinas, San Martin. RV Restorations for all RV Water and Fire Damages, Furniture Restorations, Floor Plans, Flooring, Walls, Ceilings, Cabinets, Counter Tops, Appliances, Roof, All Interior and Exterior Restorations for All RV Makes and Models. RV Roof Repair Morgan Hill, San Jose, Gilroy, Salinas, San Martin. RV Roof Repairs, Replacements, Cleaning, Sealing and Parts. RV Rubber Roof Cleaning, Sealing, Repairs and Complete Replacements at Affordable Prices. Repairs and Replacements for All RV Roof Types. RV Rubber Roof Repair Morgan Hill, San Jose, Gilroy, Salinas, San Martin. 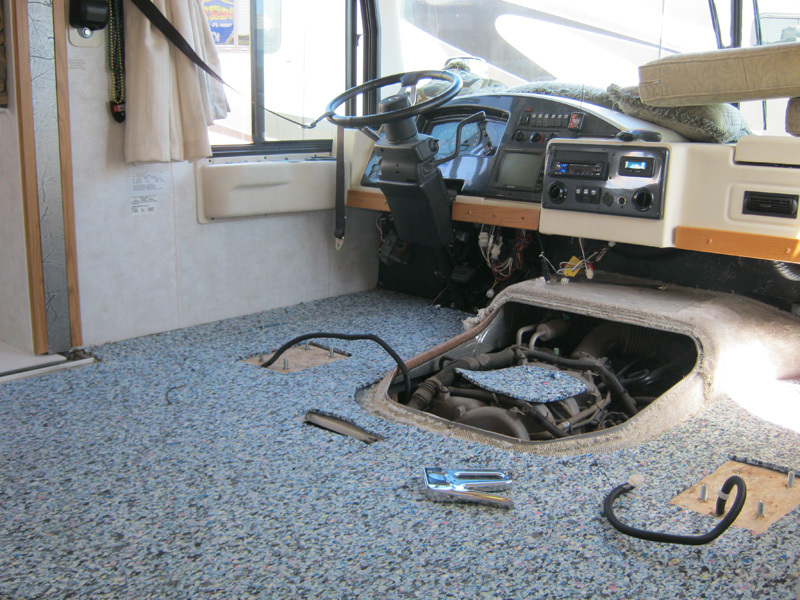 RV Rubber Roof Repairs, Cleaning, Sealing and Complete Replacements at Affordable Prices. RV Metal and Fiberglass Roof Upgrades To Rubber Roofs. RV Satellite Repair Morgan Hill, San Jose, Gilroy, Salinas, San Martin. RV Satellite Repairs, Installations, Upgrades and Parts. Service Center for Winegard RV Satellite and Antennas. RV Satellite Upgrades for DVR, Joey and Hopper. RV Solar repair Morgan Hill, San Jose, Gilroy, Salinas, San Martin. RV Solar Repairs, Installations, Upgrades and Parts. Solar Panel Charging System Installations and Upgrades. RV Solar Panels, Solar Parts, Solar Monitors. Installs Provided for Customer Provided Parts. RV Suspension Morgan Hill, San Jose, Gilroy, Salinas, San Martin. RV Suspension Repairs, Service and Parts. RV Air Suspension Repairs for Air Systems, Dump Valve, Leaks, Air Bags. RV Suspension Repairs, Installation and Parts for Monaco, Freightliner, Roadmaster, Spartan and Workhorse. RV Towing Accessories Morgan Hill, San Jose, Gilroy, Salinas, San Martin. RV Towing Product Repairs, Installations, Upgrades and Parts. RV Tow Bars, Hitches, Receivers, Tow Vehicle Braking Systems, Brake Controllers, Back Up Cameras, All RV Towing Accessories, Products and Parts. RV Vents RV Vent Repairs Morgan Hill, San Jose, Gilroy, Salinas, San Martin. Installations, Upgrades and Parts. RV Fantastic Vents, Elixer, Ventline, Jensen Repairs. RV Vent Replacement Parts, Motors, Cranks, Lids, Vent Fans and Non Fan Vent Replacments at Affordable Prices. RV Water Damage Repair Morgan Hill, San Jose, Gilroy, Salinas, San Martin. RV Water Damage Repairs for Roof Water Leaks, Roof Damages, Exterior Leaks, Plumbing Leaks, Toilet Leaks, Holding Tank Leaks, Frozen Water Line Leaks, Slide Room Water Leaks and All RV Water Leak Repairs. 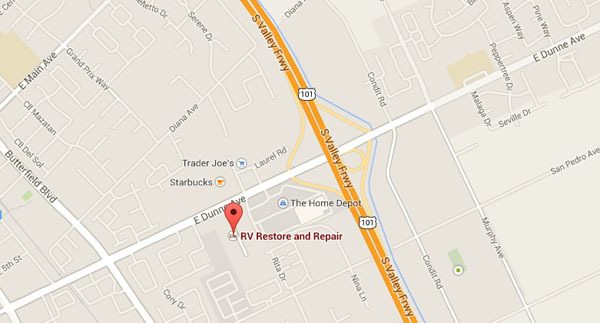 RV Water Heater Repair Morgan Hill, San Jose, Gilroy, Salinas, San Martin. - RV Water Heater Repairs, Service, Installations, Upgrades and Parts. Service Center for Atwood, Suburban, Aqua-Hot for All Warranty and Repairs. Upgrades, Repairs and Parts for Tankless Water Heaters. RV Winterizations Morgan Hill, San Jose, Gilroy, Salinas, San Martin. 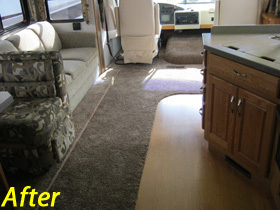 RV Winterization for all makes and Models. De-Winterizations also Provided. See Our Pre Winter and Spring Specials for Extra Savings for RV Customers for your RV Winterizations and De-Winterizations needs.